Every food truck has its strengths. Those things that they consistently do well to get consumers talking, attract new customer and keep them coming back. Unfortunately, strengths can sometimes cover up business weaknesses so they don’t get the attention they need. 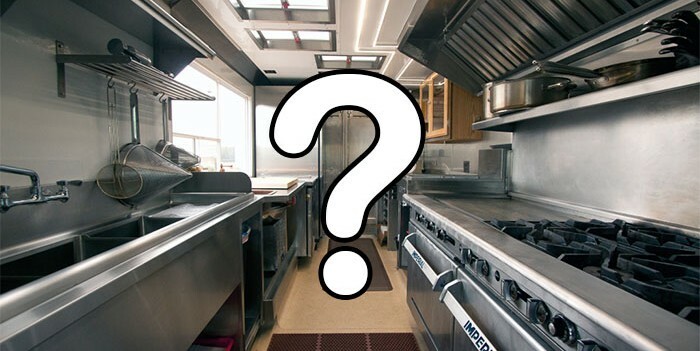 Just to clarify, business weaknesses are those areas within your food truck where improvements need to be made because your current situation leaves you vulnerable to economic pressures, or market forces. In short, these are the things that hurt your food truck in the long-term, which prevent sustainable profitability. Today we’ll discuss some common food truck business weak spots vendors should avoid. No documented systems and procedures. As a result of this business weakness, critical activities including food creation, marketing, sales, hiring, and customer service are not easily repeatable by others and are often inconsistent. Taking the time to write down how you and you team handle daily tasks will save you time and money, makes training easier and ensures your customer’s expectations are consistently met so they keep tracking down your food truck. Lack of cash. Does your food truck focus on sales at the expense of profit and cash flow? Getting more customers or building revenue streams will not guarantee more profit, or adequate cash to sustain your mobile food business. Focus on the bottom line. Build the number of profitable menu items you sell and stop selling what doesn’t make money. Establish a pricing strategy that supports profit, not just sales. Keep an eye on your expenses, especially the level of labor expenditures to sales levels. Too dependent on owner. Some of this is due to a lack of written procedures, but is also due to a lack of delegation. A lot of food truck vendors are reluctant to delegate tasks to others because it requires time to train them or they simply don’t believe others can do the job as well. With documented systems and procedures, training and delegation is a lot easier and you may just find that others do it just as well; if not better. The more you delegate common jobs in your truck to others, the more time you free up to work on projects to improve your food truck’s growth and profits. Lack of differentiation. All food truck menus become similar to commodities over time. So what are you doing to make your food truck stand out for people to take notice? Why should they track down your food truck? Differentiation for food trucks can easily take the form of convenience or quality, including your targeted market, customer service, hours, systems, parking locations, menu variety, etc. What your food truck does well can help guarantee differentiation in your market, the key is to remember that you only need one point of differentiation. Wrong people supporting your business. A food truck vendor can’t do it all. Your food truck’s success depends on others (employees and suppliers). So choosing the right ones and developing them is a key to sustainable growth and profit for your business. Never settle or depend on just one. Invest the time to select the best and build those relationships so everyone benefits. Do you have any of these business weaknesses? If so, pick one and start focusing your efforts there. Little improvements can produce big results such as more time, more money and more control of your food truck.